I started these tulsi specimen from seeds. The germination was no problem, but after the two cotyledons developed, growth has been slow to non-existent. 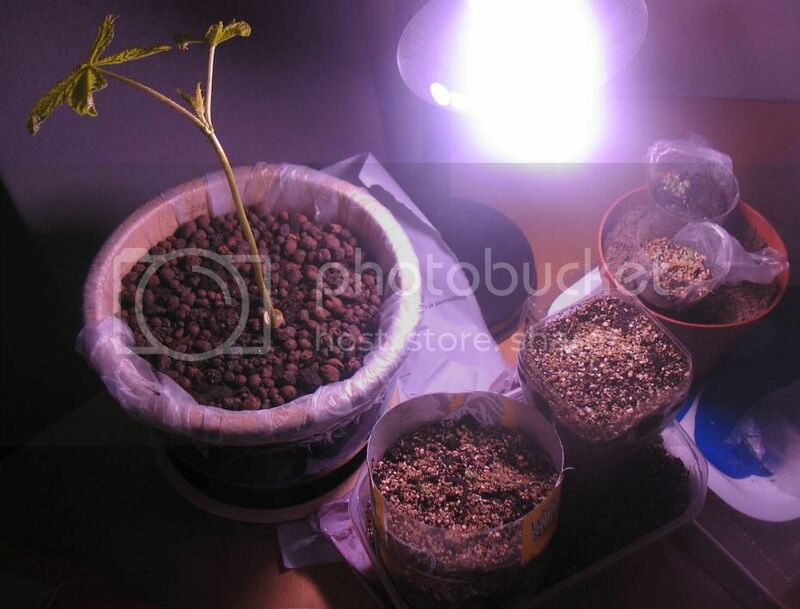 Compare them to the horse chestnut seedling in the second pic - it was a germinating seed not long ago and has vastly outpaced the tulsi under the same light conditions. I spray them fairly ogten with water and a light dose of nutrient supplement. The ambient temperature is moderately high (about 73F). I keep the flourescent light on around 10-12 hours a day. That stuff in the substrate is vermiculite. Any advice for getting my tulsi to grow? Don't know for sure, but the commonest problem with starting seedlings is over-watering/ soil that stays too damp. The plastic pots look like they might be keeping moisture in. Your tulsi (holy basil) is a close relative of regular basil. As such, it likes warm (73 should be fine, but you could try a little bottom heat to be sure the soil is warm), plenty of light (I usually leave my grow lights on 16 hrs a day), and soil that doesn't dry out, but doesn't stay wet. It shouldn't need fertilization until it gets a little further along. I guess my soil is the #1 problem then. I've lost a few seedlings to drying, so I've had to water them pretty constantly and cover them with plastic for the night. So, the soil is maybe draining a bit too well, possibly due to the vermiculite? "The plastic pots look like they might be keeping moisture in." I did add holes to the bottom of the plastic cups, but I guess the material itself isn't ideal? I have seen many examples of seeds taht seem to take forever to get out of the seedleaf stage. I think perhaps you continue the path you are currently on. be very mindful of air circulation, they are at a stage that makes them very suseptible to damping off. Try a little more wait and see. They seem happy other than being slow. Holy Basil Batman!!!!!!!! try increasing their temperature from 73 with a space heater or a plastic dome. I really don't think you have anything to worry about at this point. While I've never grown Tulsi in particular, I do grow 5-6 varieties of Basil. 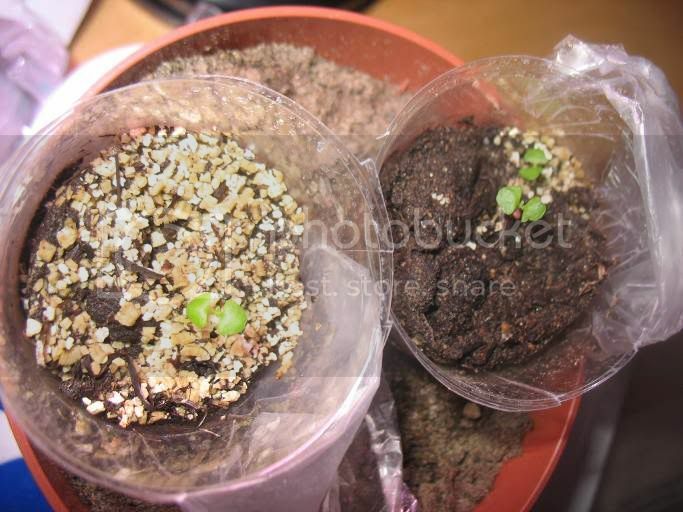 And first couple of weeks after the germination they usually are slow. As you can see, not any different from yours. As mentioned earlier, be aware of the air circulation and don't over water (but don't let them dry out either). And in few weeks you should see solid, true foliage! How would you describe the taste of Tulsi compare to the Basil? As for Thai food, I love it, but only the mild heat dishes. And gra-phao with squid sounds terrific, specially right now, when the cold, freezing wind is honking outside! Actually I've never tried it fresh, just in gra-phao. It's somewhat bitter, so Thais like to add some sugar to the dish, and of course plenty of chilli. I'll have a better description once my plants mature. This is my first post here. I too am trying to grow Tulsi in the UK. I'm experiencing the same 'probs' as the OP ie germination then seedlings taking forever to grow. I had some grow in a compost which retains moisture. Very slow. I transferred some to a multi-purpose compost and they seem to be doing better. I read somewhere that they should be fed plant food once a fortnight. unfortunately, those posts were 6 months ago and zembas never came back to tell us what happened to their little basil plants. 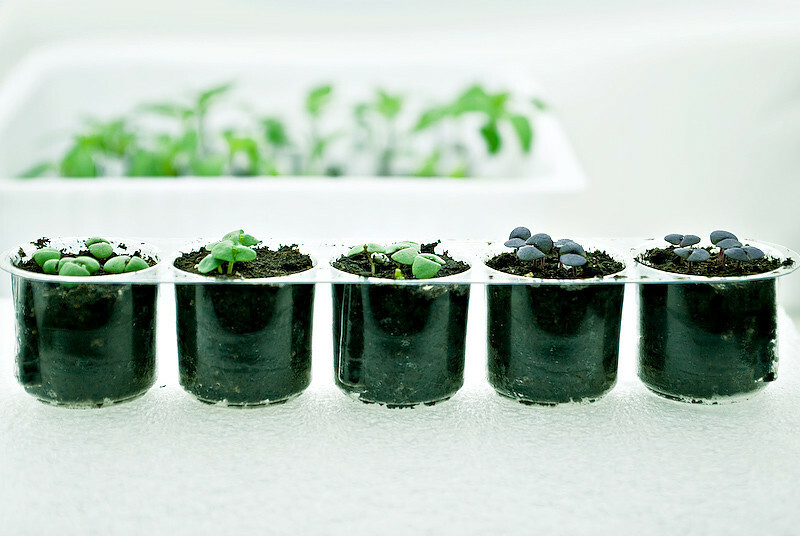 Sometimes, adding bottom warmth will help seedlings progress a bit faster. I use old heating pads and an old waterbed heater. Many people add bottom warmth when germinating seeds, but discontinue it after germination has occurred. 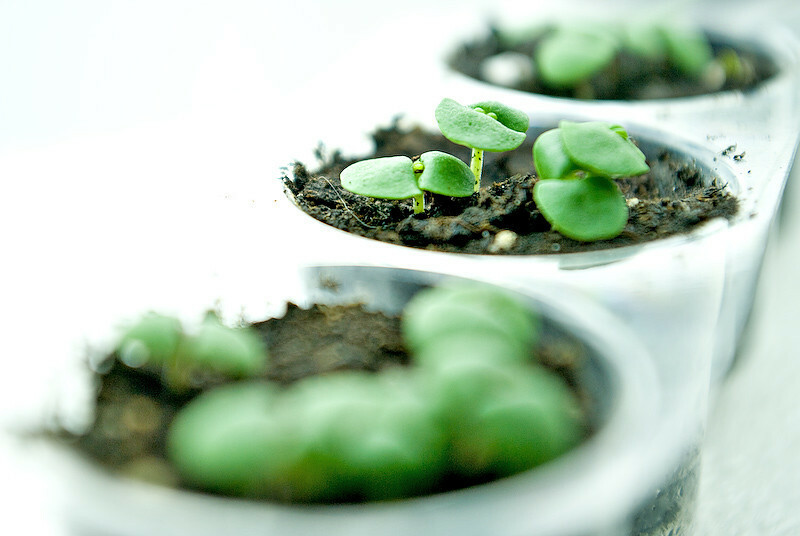 I've found that maintaining the added warmth to the second-leaf stage can help encourage growth of the seedlings. JMO.